Price: $15.50 - 12 oz. Deep, rich, complex and well balanced best describes this Rwanda Organic Kigeyo Kivu From Doma Coffee Roasting Company. From, the bag, wet, and from the cup this roast radiates magnificent notes of sweet caramel to the nose. There are other aromas of cocoa, charred oak, pecans and sweet tree fruit mixed in, but it's the caramel that stands out from the crowd. The first sips are bold and syrupy with a heavy, but smooth mouthfeel, Yet at the same time there's an unexpected sweetness that washes across the palate. There are decadent flavors of pecans and sweet caramel, with just a hint of charred oak from the hot cup. As the coffee cools, the mouthfeel becomes a bit lighter, softer and even smoother, plus a bit of lime begins to develop. 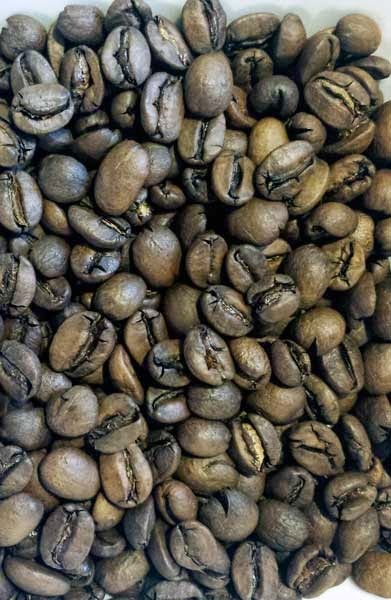 This full city roast Rwanda produced surprisingly rich flavors and a smooth, comforting mouthfeel. The coffee was free from defect and produced a clean cup. If you like rich, bold, coffee, this Rwanda Organic Kigeyo Kivu From the Doma Coffee Roasting Company would be a great roast to try. You know me, normally I'm not much of an infused cigar fan, but this Tabak Especial Robusto Negra Cigar by Drew Estate, is different than most. Before these cigars are aged, they're infused with Nicaraguan coffee. With dual bands over an oily, dark Maduro colored Connecticut wrapper and a shaggy foot, this cigar looks great. The cigar has seamless construction, a triple cap, and there's some fine tooth to the nearly vein free wrapper. Just holding this cigar in your hand, you can smell the coffee aromas. Checking the free draw there are notes of toasted tobacco and lots of coffee. The wrapper leaves a big sweetness on the lips giving the impression it's been dipped in sugar. Once the shaggy foot is burning, the Tabak Especial produces large mouthfuls of smoke with strong notes of toasted tobacco, coffee and sugar. As the razor sharp burn line moves up the body other flavors join in that complement the coffee. There are nuances of spiced rum, anise and some sweet black cherry toward the final third. I thought this flavor mix, although very sweet, created a really pleasant smoking experience. The cigar draws to an end after fifty minutes with a full bodied mix reminding me of spiced rum, coffee and toasted tobacco. With a nice mix of flavors, top of the line construction and a great burn, the Tabak Especial Robusto Negra Cigar by Drew Estate is a great infused cigar. You can find these online at Famous-smoke.com in 5 packs or boxes of 24. 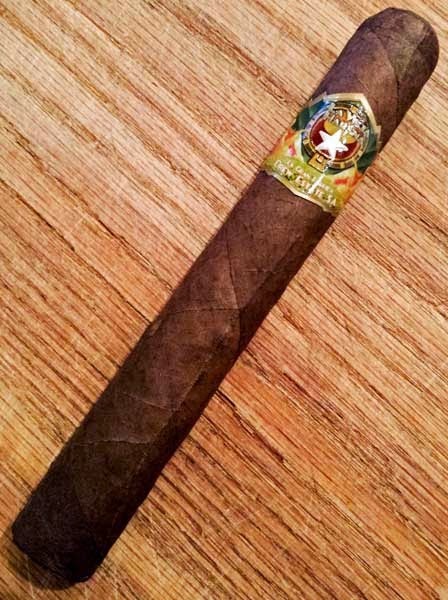 Don't be afraid to give this flavorful cigar a try. (Miami, Florida) January 28, 2015 - The Dominican Cigar Review, noted as the most important cigar magazine in the Dominican Republic, has just made public its choice of “Untamed” by La Aurora as Cigar of the Year for 2014. La Aurora “Untamed” was unveiled last July in the IPCPR Show, in Las Vegas. The Dominican Cigar Review panel of experts concluded that due to Untamed’ s perfect balance between flavor and body, and superior construction, a FIVE STAR rating and the award of Best Dominican Cigar in the year 2014 should be awarded. 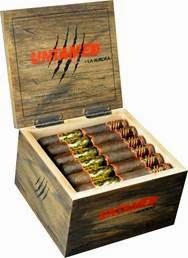 Untamed by La Aurora is a new development, that combines the tradition of a century, working with the best tobaccos in Cibao Valley, with the will to stay ahead of the curve to provide the market new and distinct products. La Aurora’s team has achieved an incredible cigar that has no seco leaves in its blend: three different ligero Dominican leaves and a viso Nicaragua, with a binder harvested in Cibao Valley, Dominican Republic, and a precious Connecticut Broadleaf wrapper from the USA. Guillermo León, president of La Aurora, has shown his satisfaction for the award: "La Aurora’s team has created a really incredible cigar, going beyond our traditional products. They have successfully created an innovative product that works because of the enormous quality of its tobacco leaves". Untamed is, for La Aurora, a step towards the future for a company which boasts a centenary in tradition. Cigars like this Flor de Oliva Maduro Toro are the reason I chose the name Cheap Ash Cigar. I do my best track down cigars with quality construction, good flavors and of course, a budget price, then share my findings. The Flor de Oliva Maduro Toro does a nice job of meeting that criteria. These cigars use long fillers and are handmade by Oliva in Nicaragua. Holding this well packed maduro colored toro in my hand, I can see the thick, oily, Nicaraguan wrapper contains only a couple smaller sized veins and it's rolled on in seamless fashion. Once the triple cap is punched, the free draw has notes of sweet fermented tobacco and the wrapper leaves behind a sweet cocoa aftertaste on the lips. 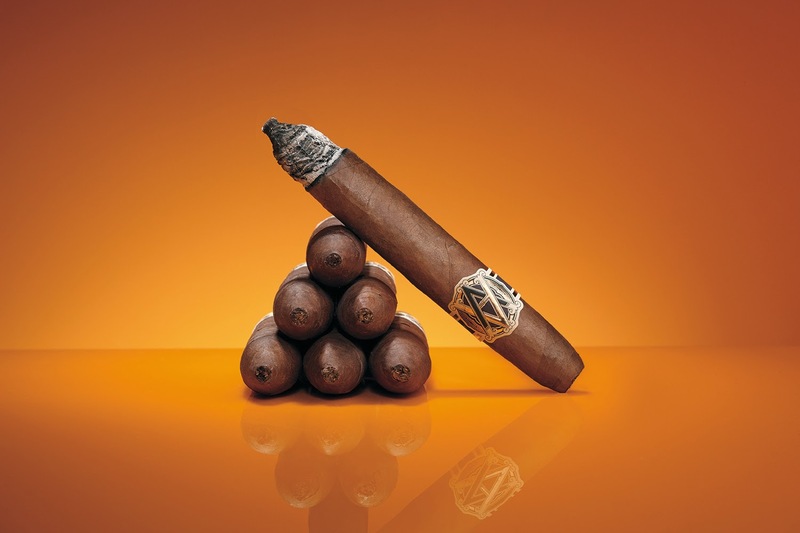 From the burning cigar there are medium bodied flavors of musty cocoa, fermented tobacco and damp leather. Around the mid point the body moved into the medium/full range with a flavor shift to semi sweet chocolate and toast. After fifty minutes the Flor de Oliva Maduro Toro finished with flavors of damp leather and some medium red pepper. Overall, this cigar delivers a nice bang for the buck. It had top notch construction, fair flavors and a nice even burn. You can find these at Neptunecigar.com as singles, $3.52 each or in a mazo of 20 for only $47.95. Throughout my cigar smoking past, I've used a cedar spill or two when lighting cigars, but when I saw these Spanish Cedar Spills From Cigar Reserve, I knew they deserved a review. Over the last week I've used these spills to light more than ten cigars and in each instance these spills worked great. Timing several burns, the average burn time was right at 75 seconds. I found 75 seconds more than an adequate amount of time to toast and light a 60 ring cigar. These spills burn super clean leaving behind almost no ash, the produce no flavors or toxic chemicals to taint the cigar's natural flavors and you can control the flame by adjusting the angle of the spill. The end result is a perfectly toasted and evenly lit cigar. Handmade in the USA from Spanish cedar in the shape of a Spanish sword, what's not to like? Plus, Cigar Reserve has custom engraved spills just in time for the Super Bowl. The options available are; Super Bowl XLIX, Go Seahawks! and Go Patriots! Be sure to check them out before it's to late. Cigar Reserve also offers custom engraving of their spills with your company name of logo. Check them out online at CigarReserve.com. This E.P. Carrillo Encantos is another first for me. It's the first chance I've had to smoke any of the E.P. Carrillo line of cigars. Covered in a thick and hearty Connecticut Broadleaf Maduro wrapper, this Encantos looks rugged and packed with flavor. The wrapper itself shows some nice tooth and has fine veins for such a stout wrapper. It's rolled on the cigar with tight seams and finished off with a tight triple cap. From the cold foot there are notes of toasty, fermented tobacco while the free draw tastes a bit like dark chocolate. 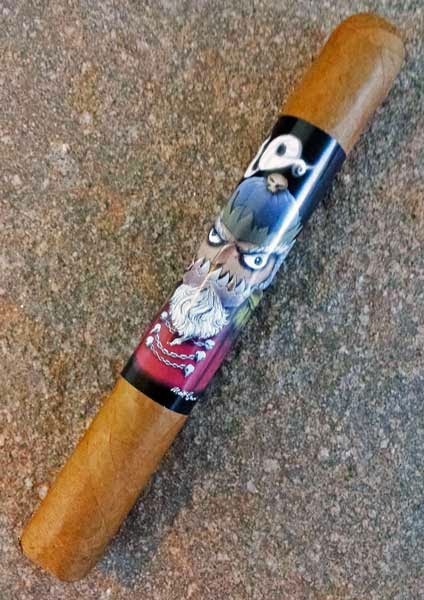 The first flavors from the burning cigar were a medium bodied mix of cocoa, light black pepper and earth. By the mid point both the pepper and earth had faded away leaving behind notes of smooth, creamy chocolate. After fifty minutes the Encantos finished its burn staying in the medium body range with flavors of charred oak mixed with a lot more chocolate. With the smooth creamy chocolate flavor mix this E.P. Carrillo Encantos definitely falls into my "chocolate bomb" category. It's worth mentioning that this wrapper left behind a nice chocolate aftertaste on my lips. That's a big plus for me. Additionally, I paired the Encantos with the Grizzly Claw coffee, roasted by Kicking Horse Coffee, I reviewed a couple weeks back. The coffee and the cigar were a really nice pairing. While the coffee didn't effect the cigar flavors, the cigar nicely enhanced the chocolate and earth notes in the coffee. You can find these E.P. Carrillo Encantos cigars at Famous-smoke.com priced at only $28.99 per pack of 5, there are boxes and singles available too. If you like chocolate bombs like I do, you'll like this cigar! Price: $16.00 - 16 oz. 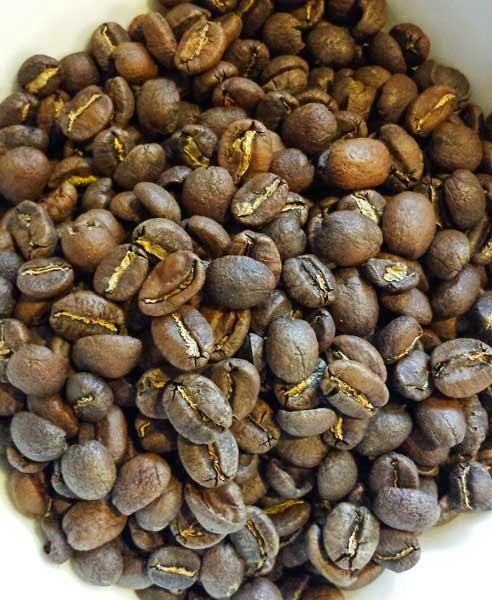 Here's the second review of a roast from Velton's Coffee, their Mexico Nayarita whole bean. In a nutshell, this roast was simply impressive. It starts right from the bag. Immediately upon opening the bag magical aromas of chocolate and strawberries rush out to great your nose. As the coffee blooms during the pour-over, aromas of chocolate covered strawberries and whipped cream will make your mouth water in anticipation. From the cup, a pleasant aroma of chocolate covered strawberries is still present. The first sips are smooth, creamy and well balanced with a soft, velvet-like wash across the palate. There are soft flavor notes of strawberries, milk chocolate and a hint of macadamia nuts. As the coffee cools in the cup, it stays well balanced and flavorful. I did find that water temperature is very important with this roast, 205 degrees hits the sweet spot for my tastebuds. My first pour-over was at 207 degrees and while it still produced a nice cup, it changed the balance and the flavors giving the coffee a much brighter mouthfeel, with a red wine type finish. Velton's Coffee nailed this roast. It's well balanced, flavorful throughout the temperature range and it produced a clean cup. Well done! This PDR Cigars Small Batch Reserve Maduro Double Toro is the first PDR cigar I've had the opportunity to smoke and to be honest, it was fantastic! PDR hits a flavor home run with this stick. Let's see what the Small Batch Reserve Maduro is all about. Covered in a toothy, oily, stout maduro colored wrapper this cigar looks great. It has seamless construction, a few medium veins, a tight triple cap and it's packed firmly full length. From the cold foot there is an aroma of fermented tobacco, while the free cold draw reminds me of a fruity, dry, red wine. Once the cap was perforated with the PerfDog, I lit the cigar with a cedar spill from CigarReserve.com. The first medium/full bodied puffs gave me a large blast of great tasting cocoa. Within a few minutes the fruity red wine found earlier joined in and the flavors were reminiscent of sipping a fine red wine paired with dark chocolate. Simply delicious! As the burn progressed up the body the body moved to full and there were additional flavors of toast, charcoal and anise. In the final third the burn ran up the side a bit and needed a correction, but that was the only burn problem. After seventy minutes the Small Batch Reserve finished with a mix of chocolate and charcoal. Being my first experience with a PDR cigar I was definitely impressed. Other than the burn problem this cigar was fantastic. It had an amazing flavor mix and top notch construction. If you're like me and haven't tried any of the PDR blends this is a great cigar to start your journey with. You can pick up your own PDR Cigars Small Batch Reserve Maduro from Famous-smoke.com. 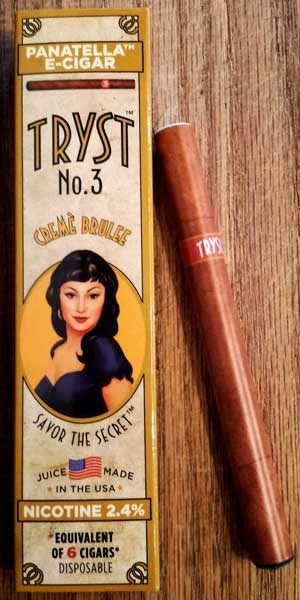 Featuring e-juice made in the USA, these Tryst e-cigars are a pretty sweet deal. The No. 2 Robusto Brandy is another great example of a cigarette alternative that give me cigar-like satisfaction indoors or wherever I can't smoke a real cigar. Like the last Tryst reviews, I've been puffing on the No. 2 the past two days while writing. Other than its brandy flavor, this Brandy model is just like the the other No. 2's. The tapered head makes it easy to hold hands-free between your teeth, the wrapper is durable showing no signs of wear, it produces a large volume of vapor and the brandy flavored e-juice tastes fantastic. You probably know I'm not much of a flavored cigar person, but these American made e-juices from Tryst have fantastic flavor, this brandy is really close to tasting like brandy. I've tried other flavored e-cigarette products in the past and the flavors don't compare at all to the Tryst e-cigar flavors. Add together the great taste, the health benefits and the reduced cigarette costs, Tryst e-cigars are a real winner for me. Give them a try! Here's another stick from my Cigar Train, Cigar Of The Month Club package a couple of months back, The King Is Dead Premier, From Caldwell Cigars. Although this is only my second Caldwell cigar, I'm really impressed with the quality of their cigars. This well packed 5 x 50 Premier is covered by a hearty, seamless and oily, Colorado colored wrapper, plus it's topped off with a nice pigtail cap. From the foot there's a faint aroma of fermented tobacco to the nose, while the firm cold draw is both sweet and spicy. Once the foot is toasted and burning the first mild/medium body flavors are a mix of sweet cream, toast and nuts. 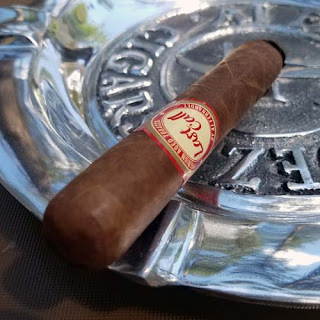 As the sharp burn line moves up the cigar an oil sheen develops on the wrapper, the body moves into the medium range and notes of sweet caramel join the flavor mix. In the final third, the body builds a bit more as this medium/full bodied Premier ends it's sixty-five minute burn with nuances of sweet toasty caramel. Overall I really enjoyed this stick. The flavors were smooth and tasty full length, the burn was sharp, plus the sixty-five minute burn was fantastic. I'm really looking forward smoking more of their great cigars. I believe that now all the "Holiday Series" cigars from CAO Cigars are in my humidor. I won a box of Nasty Nutcrackers from Rick Rodriguez at the Legends of Fire CAO event a couple of months back. This 6 1/2" x 52 cigar is draped in a seamless, vein free, silky smooth, claro colored wrapper that's topped off with a triple cap. From both the cold foot and the free draw there are faint notes of floral toasted tobacco. Once the foot is toasted and burning there are medium bodied flavors of toasted nuts, cream and raw sugar with lots of creamy smoke from both ends of the cigar. As the crisp burn line moves up the body there are hints of black pepper that show up for a puff or two then disappear. This is followed by nuances of toast, leather and oak. The Nutcracker finished its slow eighty minute burn in the medium/full range with a nice flavor mix of oak and leather. Despite the medium/full bodied finish, I think this CAO Nasty Nutcracker is a fine breakfast type cigar. The flavors start off mild then builds the longer it burns. If you happen to find one, try it, I think you'll like it. Plus, it has great band art! That's reason enough for me. The other holiday cigars are now in my review rotation and should be hitting the pages soon. Keep an eye out for them. Cigar Product Review: "The Perfdog™" Cigar Perforator - Don't Cut Your Cigar Perforate It! Here's a nifty new product I stumbled upon a few days ago, "The Perfdog™" Cigar Perforator from CigarPerforator.com. 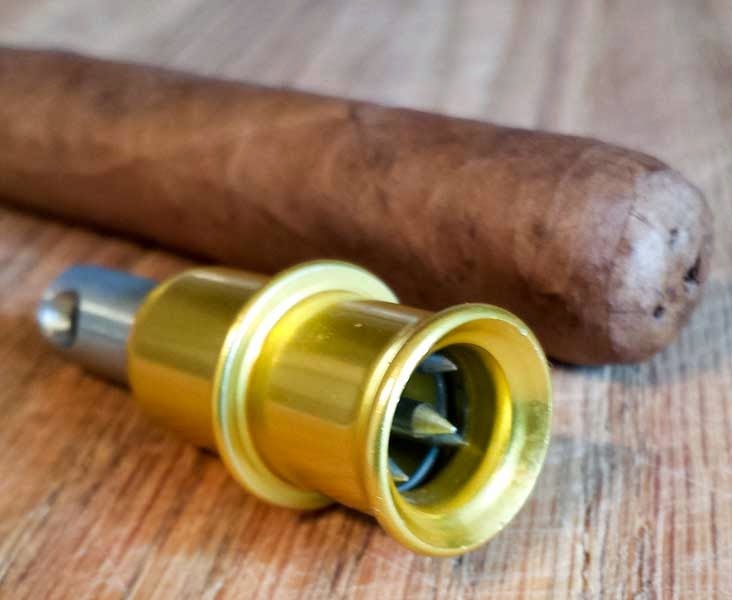 Unlike classic cigar cutters, The Perfdog punches 5 small holes in the cigar's cap to allow air flow. Over the last week I've tested The Perfdog on between 20 - 25 cigars. While I've only tested The Perfdog on parejo shaped cigars, the video below shows how to perforate a torpedo. I can go into an entire page of details about how to use The Perfdog, but it's faster and easier for you just to watch the video below. However, I can tell you The Perfdog worked great for me--after a short learning curve-- and it hasn't damaged one wrapper. It didn't take long for this to become my cutter, or should I say, perforator of choice. The only thing I'm unsure of is how long The Perfdog will stay sharp. Looking at the spikes and their small diameter, it looks like this tool will remain effective much longer than standard cutter blades, but that's just my guess. Works on 38-60 ring gauges. Check out CigarPerforator.com for more details, they also offer custom laser etching! 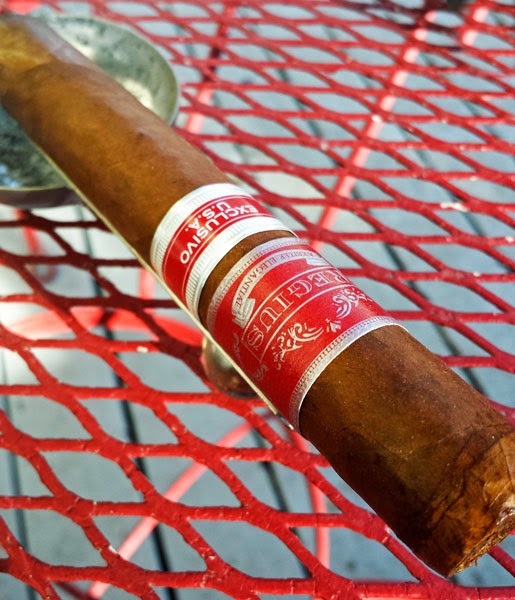 I've mentioned it before, but it seems that with every new blend from Romeo y Julieta I smoke, I enjoy their cigars more and more. This Romeo y Julieta House of Capulet Toro, a Famous Smoke Shop exclusive, is another great example. RyJ cigars don't have them most complex flavor mixes, but their flavors are rock-solid in every cigar and I like that. This Capulet Toro is wrapped in silky smooth, seamless, nearly vein free, Claro colored Ecuadorian Connecticut wrapper and finished off with a tight triple cap. From the foot there are sweet fruity aromas to the nose and the free cold draw has notes of fruit and fermented tobacco. After toasting and lighting the foot, the initial mild bodied flavors are sweet, fruity and toasty. Tasty is the best way to describe the mix. As the sharp burn line moves up the cigar a few more flavors join in. There are notes of sugar, cream and toasted tobacco. Around the mid point the body moves into the medium body range and some caramel jumps into the mix. The cigar finishes its sixty minute burn with a nice flavor mix of earth, caramel and leather. I smoked this cigar with my before-breakfast coffee and it was a near perfect combination. Again, the flavor mix wasn't complex, but the flavors were solid and great tasting. In a nutshell, I could smoke this cigar before breakfast every day! 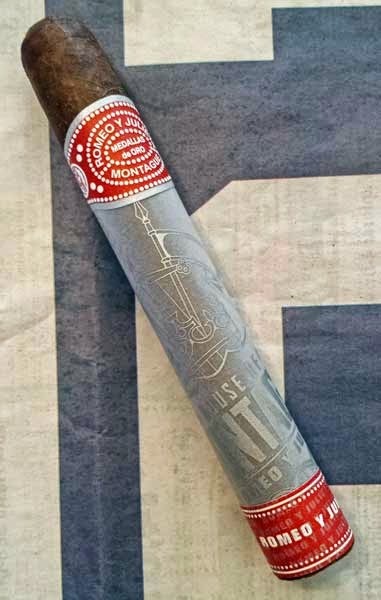 You can grab your own Romeo y Julieta House of Capulet Toros from Famous-smoke.com as a single, in 5 or 10 packs or in a box of 20 for $92.99. Price: $20.00 - 16 oz. For my personal tastes I would classify this Kenya Kiangoi From Velton's Coffee as a desert roast. With its complex flavor mix I think this coffee would be a fantastic conclusion to a hearty lunch or dinner. Opening the bag, pleasant aromas of sweet caramel, cocoa and tart fruit rise to greet your nose. Once the city + roasted beans are ground the aroma of tart cherries takes the lead, but the sweet notes of caramel are still present. Doing the pour-over the coffee produces a frothy bloom with notes of black cherries, caramel and a hint of toast. Aromas from the cup were a delicate mix of caramel and a hint of berries. The first sips were bright, clean and tart, but at the same time there was smooth, clean, mouthwatering palate wash. The first flavors were a sweet and savory mix of caramel and tart cherries with just a hint of saltiness--a really delicious flavor combination. As the coffee cooled in the cup the already pronounced caramel flavors increase and a syrupy mouthfeel develops bringing up the complexity of the cup. I also brewed this Kenya Kiangoi in a French press with quite different results. The pressed coffee produced flavors of tart cherries mixed with blackberries and a drier red wine type finish. It was interesting that the caramel didn't appear in the mix until the coffee was at the lower end of the temperature scale. Overall this whole bean Kenya Kiangoi, from Velton's Coffee produced a high quality cup of coffee, free from defect, with two completely different flavor profiles depending upon the brewing method. No matter which brewing method you choose, this coffee will produce a flavorful brew. It's still winter here and it's been cold this week so reviewing e-cigars suits me just fine. Not only can I smoke them inside, they cut my cigarette consumption drastically and that's a good thing! The last two days I've been testing a Tryst No. 3 Panatella E-Cigar in Creme Brulee flavor. This No. 3 measures about 4-3/4" x 30 ring and it weighs just .6 ounces. The smaller size and lighter weight make this model a breeze to hold between my teeth while working. The smaller size also feels more like cigarette so I inhale more often, hence curbing my urge to stop and have a smoke. Durable is all I can say about the wrapper material. Just like the other Tryst products I've reviewed, this wrapper is tough and I've had no wrapper failures. Tryst did a great job on this Creme Brulee flavor mix. Each puff starts out with notes of vanilla, then in comes sweet caramel and it finishes with a deep toasty flavor. It's really a nice flavor mix. Again, functionality of the No. 3 is great, it produces a good volume of vapor with an easy draw. If you like Creme Brulee, you will really like the flavor this e-cigar produces. Bottom line, when puffing on these e-cigars, I'm not smoking cigarettes. That not only cuts my smoking costs, I'm using a healthier alternative and I get cigar-like satisfaction when it's to cold to smoke outside. Another great feature of Tryst products, there E-juice is proudly made in America. All these features and benefits create a win-win for me! You can pick these Tryst No. 3 Panatella E-Cigars up from Famous Smoke Shop for a meager $8.60 each. 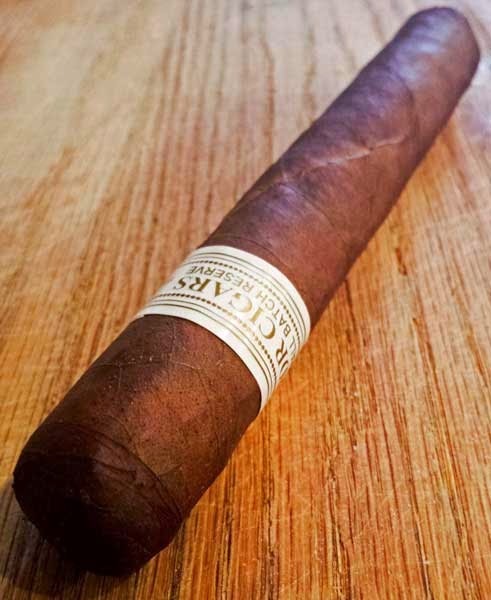 The package says this Panatella is the equivalent of 6 cigars making this e-cigar a real deal. If you read my reviews, you know I like budget cigars and this La Vieja Habana Brazilian Maduro From Drew Estate is another nice cigar for your hard earn dollars. Covered by a good looking Brazilian maduro wrapper this cigar looks top of the line, and it should, it's created by Drew Estate. The wrapper shows a bit of oil, some really fine veins and it even has some fine sandpaper like tooth. I do have to mention, it had a 1" wrapper tear at the foot that was glued at the factory. However, the cigar burned through the tear with no ill effects. From the cold foot of this 6 x 54 beast there were notes of fermented tobacco, while the free and airy draw contained hints of cocoa. 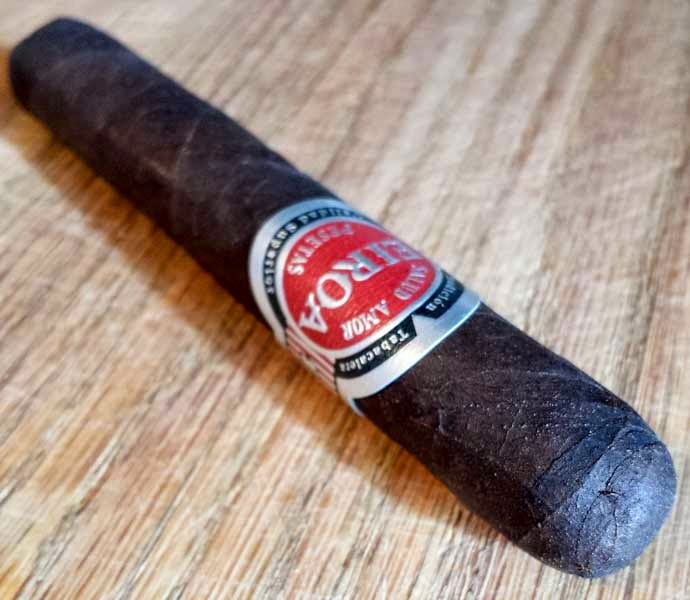 Once burning the medium bodied Bombero produced a large volume of smoke from both ends with flavors of, toast, light brown sugar, nuts, oak, cocoa, cream, coffee, peat and caramelized pecans. The cigar finished it's 60 minute burn with a charcoal and leather flavor mix. Since this was a mixed filler cigar, it's made with clipping from premium brands, the flavor mix was complex, but they were soft and changed rather quickly. Overall this was a great cigar for the dollar. It had great flavors, nice construction and a pretty good burn time. You can pick these up from Neptune Cigar for $3.92 as a single or heck just grab a box of 20 for only $49.95. A new assortment of short cigars ideal for aficionados wanting to put the day on hold. Basel, January 2015. Davidoff strives to ensure that time is filled beautifully, however short that time may be. 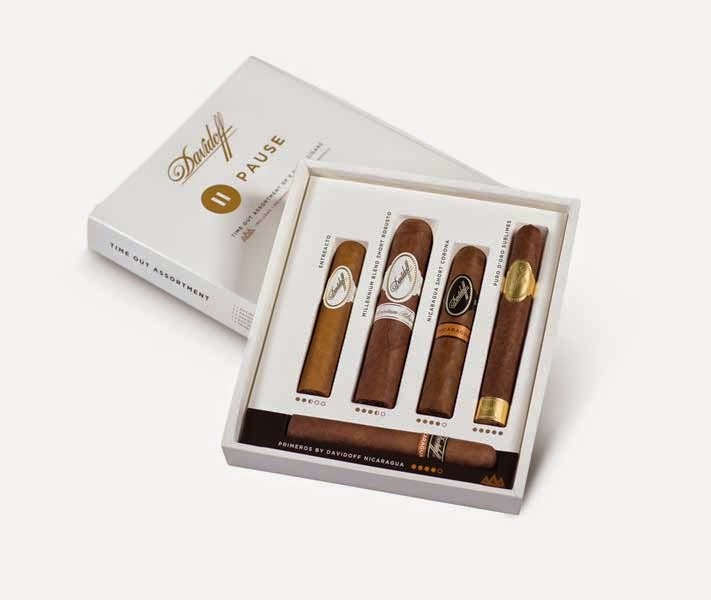 Recognising that today’s hectic lifestyle leaves little time to enjoy the finer things, Davidoff has assembled this refined selection of shorter format cigars. The new Davidoff ’Pause’ assortment presents a great opportunity to discover various Davidoff ranges and helps the aficionado to put the day on hold. The handmade cigars that make up the assortment have a diverse taste profile and palate stimulations which can be enjoyed within 35 minutes. "Davidoff ’Pause’ is ideal for aficionados who lead a life filled with commitments, but who would love toput aside a little time in their day to savour a delicious cigar. Luxury when time is a luxury,” says Charles Awad, Senior Vice President Marketing & Innovation at Oettinger Davidoff AG. Robusto”, the richer, more intense “Nicaragua Short Corona”, the new spicy “Nicaragua Primeros” and the most intense “Puro d’Oro Sublimes”. Thanks to the different cigar formats and taste profiles, the aficionado can choose, from smooth to full body, savour aromatic to bitter sweet palate stimulation, and find the appropriate short cigar to be enjoyed when he has a short moment in his hectic day. aftertaste, deep flavours and a medium strength. right cigar for the right moment easy. Davidoff Flagship Stores worldwide from January 1st 2015. Manufacturer suggested retail price per assortment: $ 46.60. Every once in a while something just hits you buy surprise. That's what the Eiroa Cigars Maduro Robusto did to me. Until a few days ago I knew nothing about this cigar and boy have I been missing out on a great stick! 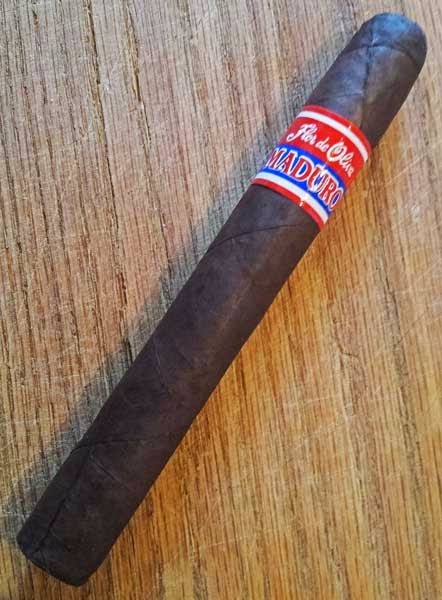 The Eiroa Cigars Maduro Robusto is covered with a stout, toothy, and oily Oscuro colored wrapper. I was surprised that such stout wrapper, had such fine veins, plus it's rolled on with seamless skill and topped off by a hearty triple cap. Checking the cold aromas, the foot had vivid notes of coco-puffs cereal while the free draw had mixed flavors of chocolate and toasty tobacco. However the cold aromas shouldn't be to surprising considering both the wrapper and binder are Maduro. Well the cold flavors and aromas from this cigar were great, but once the foot is toasted and burning the cigar shows its true colors. The first puffs were medium bodied with distinct notes of dark chocolate, while the wrapper leaves behind a pleasant chocolate aftertaste on the lips. 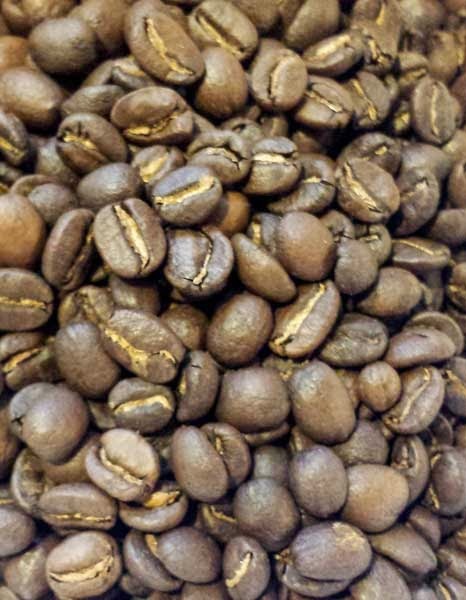 As the crisp burn line moves up the body, there are other flavors of toast, fermented tobacco, anise, charcoal, brown sugar, espresso, and burnt oak, plus a hint of black pepper that keeps peeking out here and there. This Eiroa Cigars Maduro Robusto finished its sixty minute burn with a smooth, delicious, full bodied mix of charcoal, coffee and a hint of cream--my favorite burnt mocha flavor. Overall I though this cigar was just fantastic. It had smooth yet complex and bold flavors, top notch construction, plus a great burn. You can find this fantastic cigar at Famous-smoke.com for $10.89 as a single or you can grab your own box of 20 for $182.99. Price: $14.50 - 12 oz. This complex experience with whole bean India Chikmagalur from Mad Rush Coffee begins as you first open the bag. Big aromas of cocoa, nuts, toast with hints of ginger and cinnamon rush out to greet your nose. 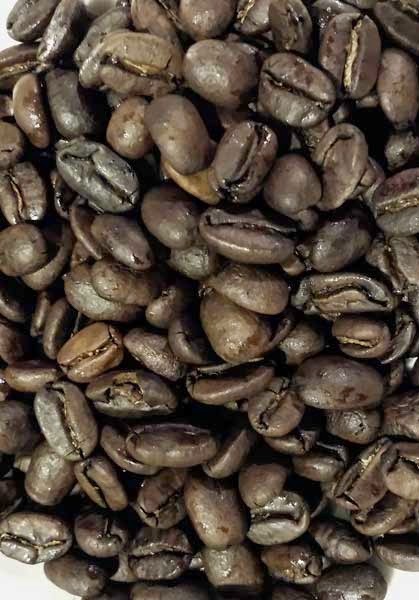 The city + roast beans are both uniform in size and color. Once the beans are ground the aromas change, both dry and wet the aromas of caramel, toasted nuts and just a bit of stone fruit take over. After completing the pour-over, the cupped aroma had notes of sweet caramel, toast, nuts and a hint of burning campfire. The first sips were lightly sweet, and bright with a crisp, clean mouthfeel. There were flavors of sweet caramel, sandalwood, hints of cocoa, plus toasted nuances of nuts and oak. As the coffee cools in the cup, the brightness fades as syrupiness increases and the notes of caramel rise to the top in the flavor mix. Overall this India Chikmagalur From Mad Rush Coffee brewed a delicious cup free from defect. 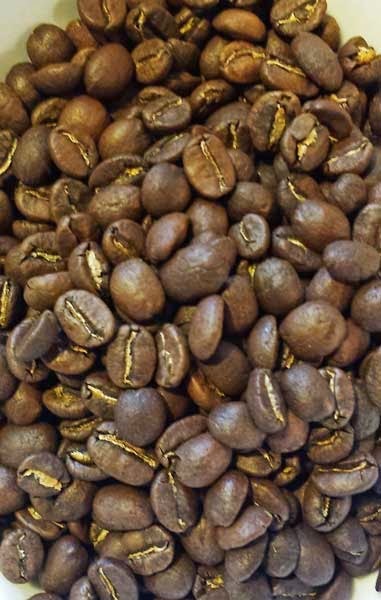 If you like your coffee bright and flavorful this would be a great roast to try! 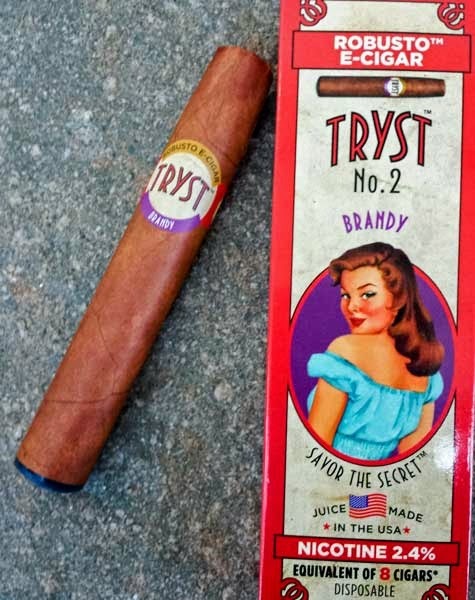 Here's another E-Cigar product from Tryst, the No. 2 Robusto American Classic. I'm having a lot of fun reviewing e-cigars. I'm not looking for a cigar replacement, but I like e-cigars because I can smoke them in places where I can't light up a real cigar. This Tryst No. 2 Robusto is exactly like the Kona Coffee flavored version in all ways except the flavor. It's about the size of a Robusto cigar, but it's shaped with a tapered head. I've found this shape makes this E-Cigar a bit harder to bite than other e-cigars, but the shorter length helps. Weight of the No. 2 is right at 1.1 oz. While that's bit heavier than a real cigar, it feels enough like a real cigar that I forget and find myself just puffing on it instead of inhaling vapor. After the better part of two days, the wrapper of the No. 2 shows no signs of wear and the unit is still going strong. The box states it's the equivalent of eight cigars, so i'll probably get a couple more days of part time smoking. Just an estimate, but it's already saved me about two packs of smokes so it will more than pay for itself. This American Classic E-Cigar has a nice cigar-like flavor mix. I can taste toasty tobacco and brown sugar, with a sweet lingering aftertaste. Overall it's pretty tasty. Again this unit produces a larger than normal volume of vapor. Add that to the cigar like flavor, plus E-Juice made in America and it's another winner. Overall I've been really impressed with this Tryst E-Cigars. Famous Smoke Shop sells these in 12 packs for $152.99. If it's really the equivalent of eight cigars, which I think it will be, meaning a 12 pack equals 96 real cigars and that makes this Tryst No. 2 Robusto E-Cigar a real deal! Press Release: Oettinger Davidoff AG appoints new General Manager of Tabadom Holding in Dominican Republic. Oettinger Davidoff AG, the worldwide leading manufacturer of premium cigars, headquartered in Basel, Switzerland, appoints Hamlet Espinal as new General Manager of its subsidiary Tabadom Holding, Inc. in Santiago de los Caballeros. He succeeds Henke Kelner, who remains Vice-Chairman of Tabadom's Board and continues in his key global roles. Basel, 15th January 2015 – Oettinger Davidoff AG has appointed Hamlet Espinal as the new General Manager of its subsidiary Tabadom Holding, Inc. as per January 1, 2015, reporting to Javier Plantada, Senior Vice President Global Production. Hamlet was previously the Head of Operations at Tabadom Holding in Santiago de los Caballeros in Dominican Republic where the Dominican own brands Davidoff, AVO, Cusano, Griffin’s, Private Stock, Zino and Zino Platinum of Oettinger Davidoff AG as well as some select third brands are produced. 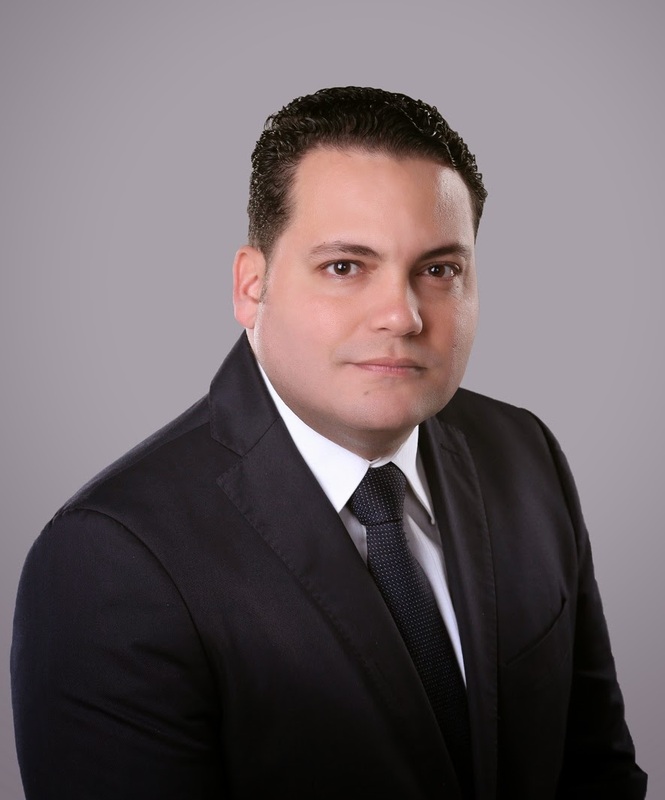 Hamlet Espinal originally started his career at Tabadom Holding in the blending room at PTP and has expanded his scope of responsibilities step by step over the past 15 years, in addition to studying at the university to prepare for his leadership role. In March 2014, Hamlet was promoted to Vice-President. Henke Kelner remains Vice-Chairman of Tabadom's Board and will continue to report to Oettinger Davidoff CEO Hans-Kristian Hoejsgaard in all of his global roles including government relations and corporate affairs and chairing the blending and tasting panel at Tabadom as a key driver of Oettinger Davidoff’s innovation process. Henke will also expand his Davidoff Global Ambassador role conducting tasting and education seminars around the world. The CHF 1.2 billion Oettinger Davidoff AG with over 3,500 employees around the world, traces its roots back to 1875 and remains family owned to this day with two distinctly different businesses: one that is focused on FMCG distribution in the Swiss market and one dedicated to the core business of producing, marketing and retailing premium branded cigars, tobacco products and accessories. The premium branded cigar business include Davidoff, AVO, Camacho, Cusano, Griffin’s, Private Stock, Zino, Zino Platinum and Winston Churchill Cigars. The Oettinger Davidoff AG is anchored in a strong “crop-to-shop” philosophy, having pursued a vertical integration from the tobacco fields in the Dominican Republic, Honduras and Nicaragua to the worldwide network of almost 70 Davidoff Flagship Stores. Basel, January 2015. AVO Cigars, the globally renowned cigar brand ventures into a new era. 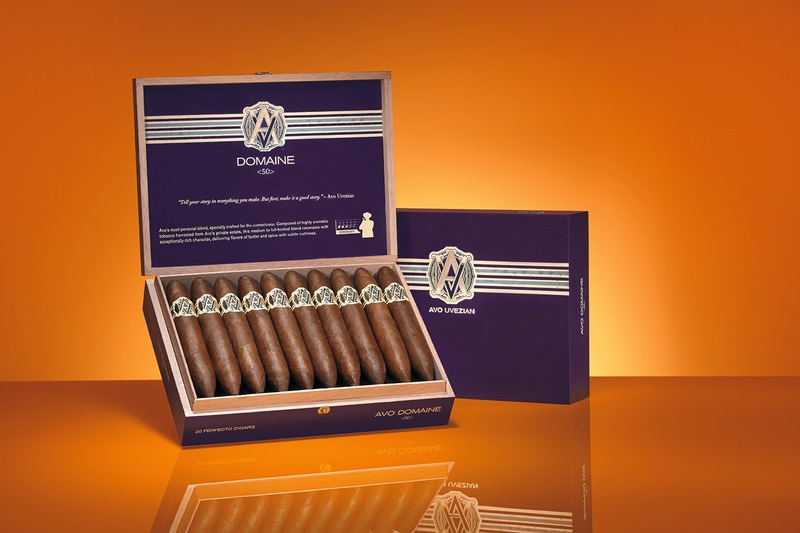 AVO Cigars is being relaunched in early 2015 behind contemporary packaging, new communication and a streamlined range that focuses on core lines. 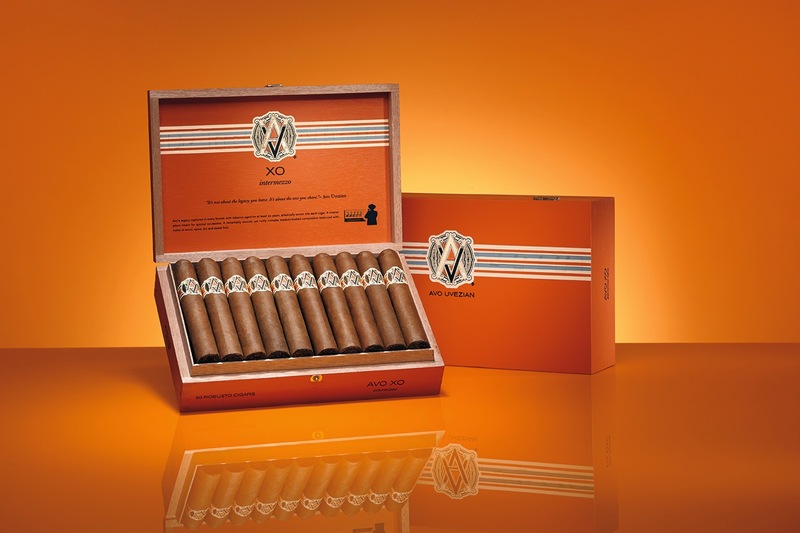 Avo Cigars started when the brand's founder; Avo Uvezian; a legendary jazz and cigar composer of global fame met the cigar master blender Hendrik Kelner in 1982 in the Dominican Republic. 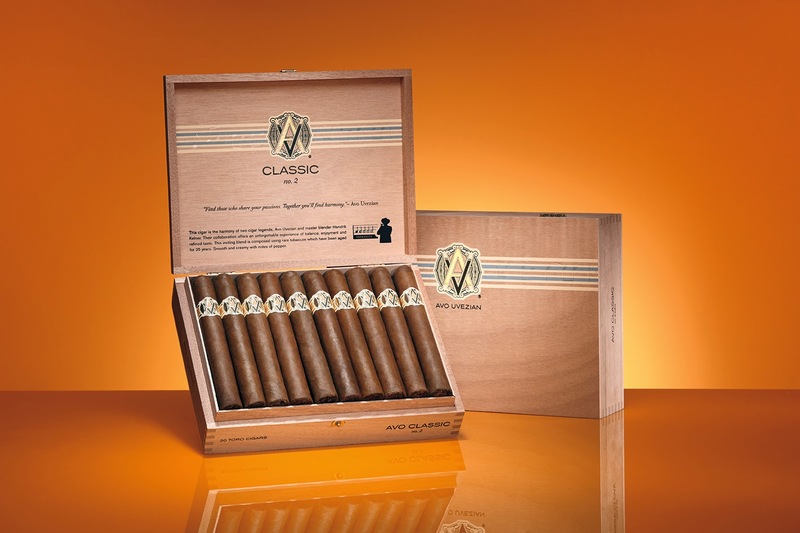 A fruitful cooperation between cigar pianist and cigar composer began to develop which resulted in the launch of the AVO Classic Series; an almost immediate success selling over 120,000 cigars in the year of the launch in the United States. fullest. He cherishes every moment in life with passion and shows insatiable thirst for connections with people from all walks of life. AVO Cigars enables rich and rewarding social sharing experiences: helping drive connections amongst aficionados and turning strangers into friends in a heartbeat." says Charles Awad, Senior Vice President Global Marketing and Innovation. of each moment in life. It is the song of conversation and the music of memories. The beat of life shared with friends. AVO Cigars will be price protected and begin shipping to select retail locations in late January 2015. In Europe, the launch will vary based on country, beginning in the middle of 2015.